For those who don’t have cable service piggybacked onto their Internet plan (me! ), Yahoo’s latest app will come in handy. The Yahoo Video Guide helps you discover which streaming service has your favorite movie or TV show. If you’re in the mood to binge on some Gilmore Girls, Yahoo can help find it for you. 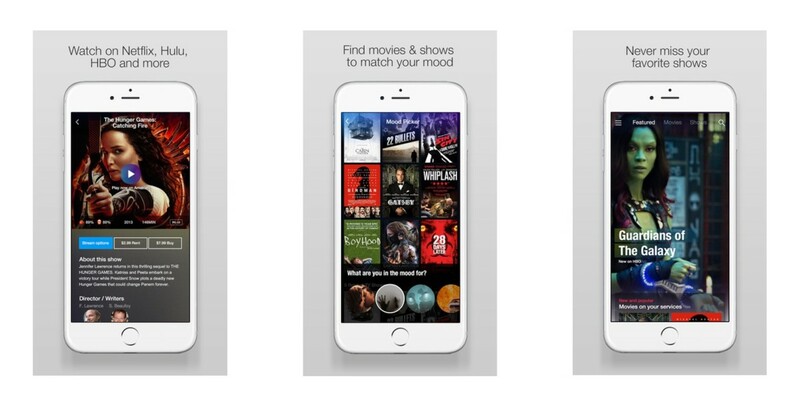 Once you find content you’re into, the app lets you play it directly in the HBO, Netflix, Amazon and Hulu apps. It even knows which apps are already on your phone, so those without HBO won’t be faced with the option to try playback in an app they don’t have. If you’re not quite sure what you want to watch, there’s a ‘mood picker’ with GIFs. Pick the GIF that best expresses how you feel, and Yahoo Video Guide will make some suggestions. Content also has Rotten Tomatoes scores as well as titles and descriptions. It’s a decent stab at content discovery from Yahoo, but falls flat if you’re looking to stream via a set-top box like Roku or Apple TV. It also keeps to widely used services, so if you’re using something other than the aforementioned apps, Yahoo can’t help. The app is available for free on the App Store and Google Play.